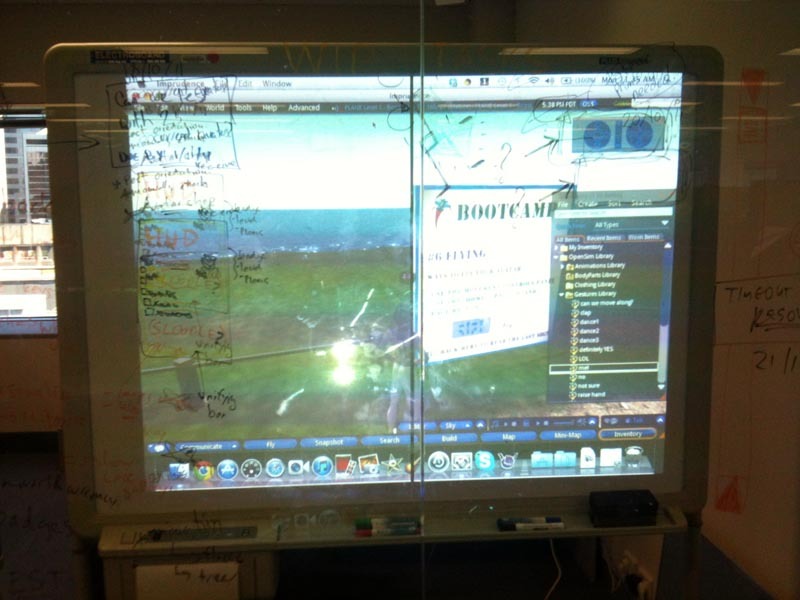 Today we setup a projector that shined through a glass wall. 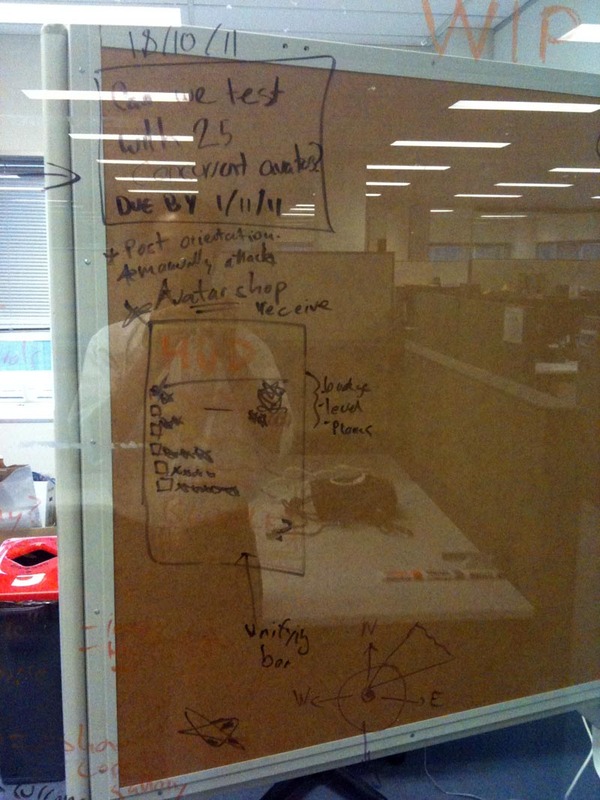 The glass wall was used as a scratch pad with the coloured non-permanent marker pens. A quick and easy way to augment brainstorming notes on top of the digital projection. 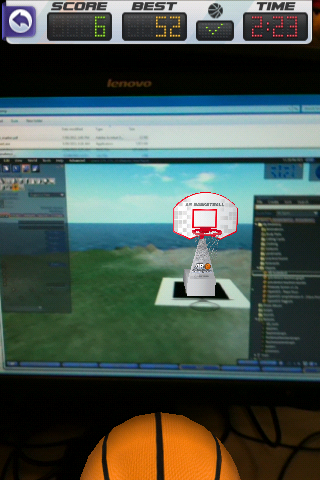 This is a screen shot of my iPhone running the AR Basketball augmented reality app. The app uses the camera to augment the real world to play a basketball game, (flick to shoot the ball into the hoop). In this case I placed the AR code in the virtual world.